In 1860 a series of three photographs were taken of the entrances to Blanche Cave. Two of the photographs feature the Reverend Julian Tenison-Woods. Tenison-Woods commissioned the photographs, so they could be used to produce engravings for his book ‘Geological Observations in South Australia’, which was published in 1862. The engravings were made by Alexander Burkitt. 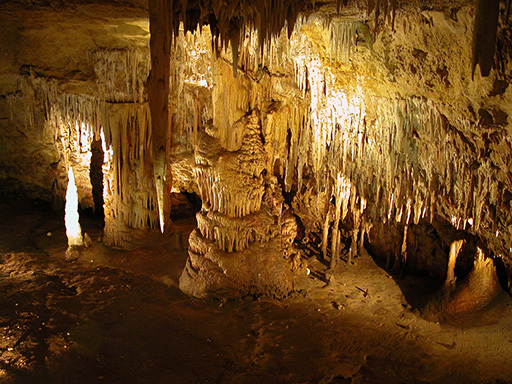 The Reverend Julian Tenison-Woods was the first to report the presence of fossil bones at Naracoorte Caves after he visited Blanche Cave in 1857. He published an account in the Register in 1858 and expanded on his interpretation of the caves in his 1862 book. The identity of the photographer of the 1860 images was unknown for over 150 years. In 2016, Dr Liz Reed from the University of Adelaide discovered that the identity of the unknown photographer was Mr. Thomas Hannay of Maldon. This was revealed after she found a previously unrecorded engraving of Blanche Cave that attributed the photograph to Mr Hannay. Mr Hannay was an itinerant photographer who captured images across Western Victoria, and was particularly active in Portland. 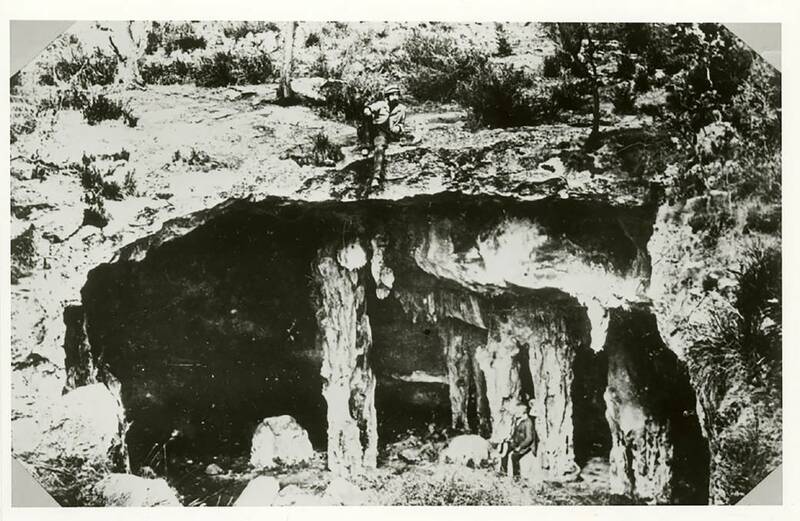 The 1860 photographs of Blanche Cave are the first Australian photographs to feature a cave. They are also some of the first photographs in the world to show a cave entrance. 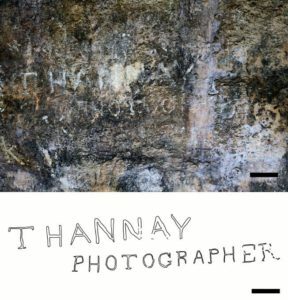 Despite the discovery of Thomas Hannay as the first photographer of Naracoorte Caves, there was still no physical evidence linking him to the caves. New research that expand s on this story was published recently by Dr Reed and Steve Bourne in the journal Helictite. An engraved signature was recognised by Dr Reed in Blanche Cave last year and it reads ‘T. 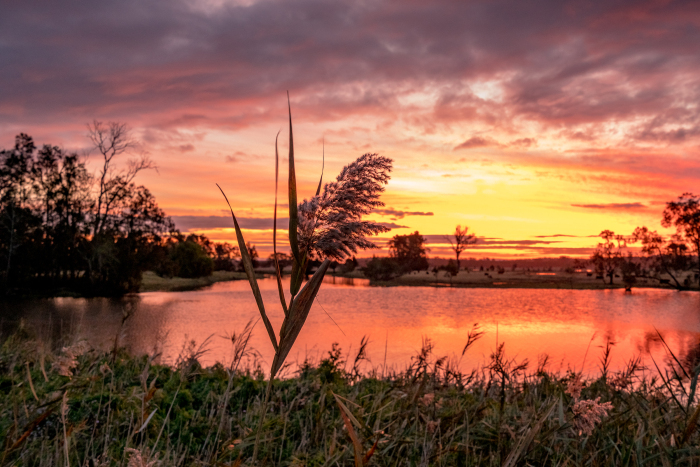 Hannay Photographer’. 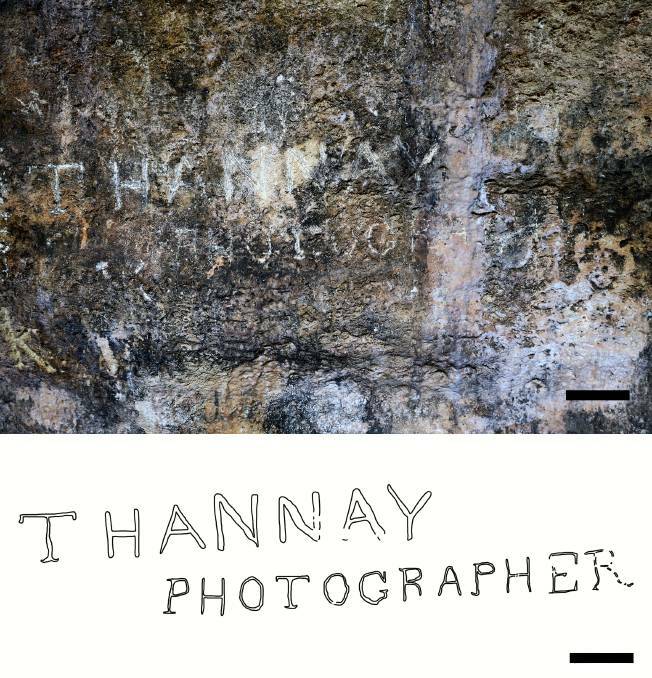 The signature is adjacent to the area shown in the 1860 photographs and proves that Hannay visited the caves. In the past, many visitors to the caves signed their names on the walls of Blanche Cave and others. Some of these signatures are historically significant and while unsightly, should be preserved as they can be yield important information about key people and events associated with the caves. Visitors to the caves can see the signature on a tour of Blanche Cave and hear about the story from Naracoorte Caves staff. Original Story from The Naracoorte Herald. This entry was posted in Media Release and tagged Blanche Cave, Dr Liz Reed, Hannay, Helictite, Naracoorte, Naracoorte Caves, Steve Bourne. Bookmark the permalink.